I came home and found that my B. albopilosum and my N. chromatus slings had molted. I'm not sure of the exact date of the former's molt. B. albiceps sling molted yesterday and now has a golden carapace N. tripepi and L. klugi juveniles also molted. Poecilotheria subfusca lowland lass. Not sure when but I haven't seen her out and about for a little while. P. striata molted. This little thing is growing fast. My B. albo had flipped when I woke up this morning. I hate it when they do this shortly before I have to leave for work. This was the moment I really had to leave for work (I was already an hour late ), but it made good progess until then, so I'm sure everything's gonna be fine. I just came home from work, and of course, everything went completely fine! She (yes, she! ) grew at least 3/4" and is now 2" (maybe even a little bit more). 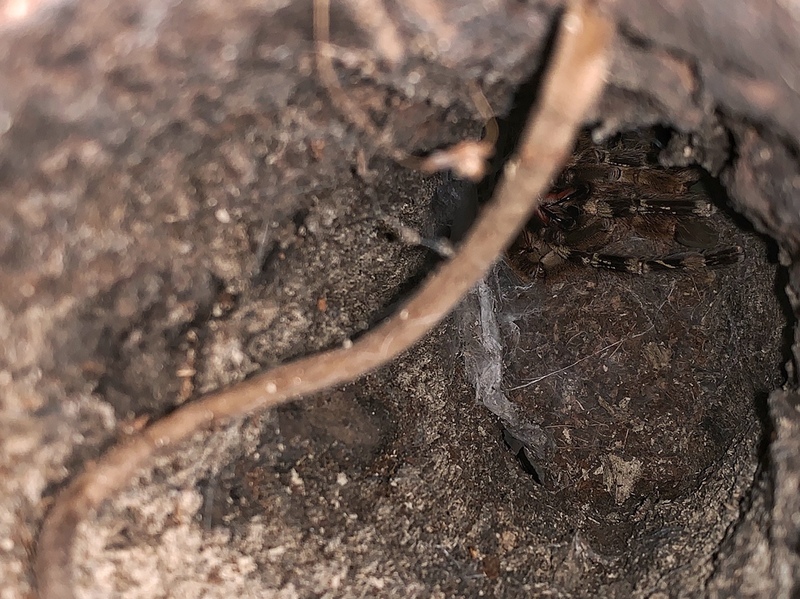 "She" arrived on Tuesday, promptly built a tiny little web tunnel, and did "her" thing last night. GBB juvenile and C. versicolor sling molted yesterday, it will be rehouse time for both when they harden. EDIT: Just noticed that my H. pulchripes sling also molted. Sheesh, I can't keep up with these guys, lol. Brachypelma baumgarteni molted yesterday ill try to get some pics today. Theraphosinae sp. Yucatan came out of hiding to show it molted! Finally getting some size and more noticeable color to it, thinking in one more molt it'll be time for a rehouse. Maybe then I'll actually get a good look of the secretive little thing. B. auratum male moulted this morning. Molt measured 3.5" DLS, looks like she could be sitting around 4" now! 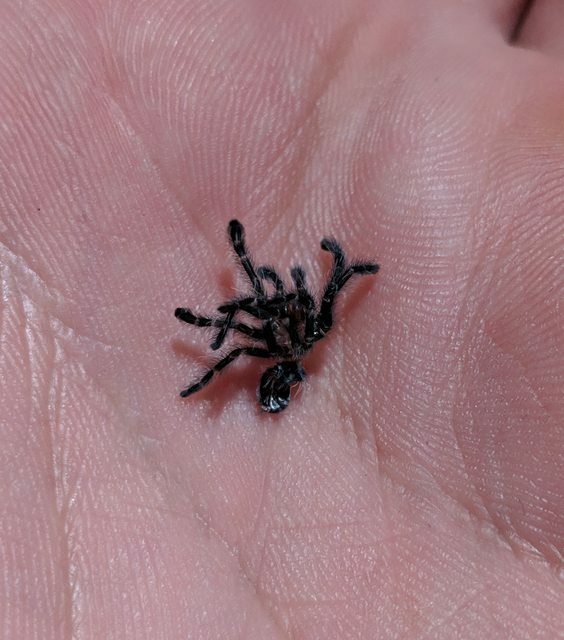 My girlfriend's tiny H. chilensis and my C. fimbriatus sling molted day before yesterday. Maybe I'll live long enough to see the Homoeomma break an inch.